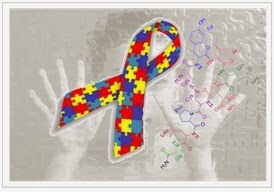 Studies in both rodents and humans, have placed oxytocin as a front-runner candidate among treatments for autism due to its ability to enhance capabilities such as trust, bonding or emotion recognition, and alleviate social anxiety and repetitive behaviors. A recent new study shows that such effects do not occur in children with autism, which could be a problem because of its potentially harmful effects. In this study the drug was compared with the placebo and, unlike previous studies in which participants were treated immediately prior to any experimental work, the researchers compared scores on the children's social skills, repetitive behaviors and emotion recognition from three to six months prior to treatment, the time immediately following treatment, and three months later. Over the course of the study, the treatment and placebo groups both improved on these measures, with no significant difference between the two. This led them to consider that there was an error in the study but chemists confirmed that there was not: Oxytocin really had no effect on these skills. The results show that the benefits of nasal oxytocin for children with autism spectrum disorders may be more circumscribed than suggested by previous studies, and suggest caution in recommending it as an intervention that is broadly effective. The publication of this study once again highlighted the importance of negative results. That is very interesting. It's unfortunate that we can't separate the good from the bad with many of these drugs. I'm hoping future science will be able to. However, the addictive nature of many of these drugs makes them dangerous treatments for anything long term.